Described in Judd Apatow’s recent book, Sick in the Head, Jerry Seinfield’s solution for relaxing during a stressful period: look at photos of space taken by the Hubble Space Telescope to remind him how insignificant everything can be perceived. That would calm me when I would start to think that this was important… I’ve often said this and people say, ‘It makes me feel insignificant.’ And I don’t find being insignificant depressing. I find it uplifting. As the younger generation would say today: zero fucks given :) Just do it anyway. Photo credit: European Space Agency (ESA/Hubble). 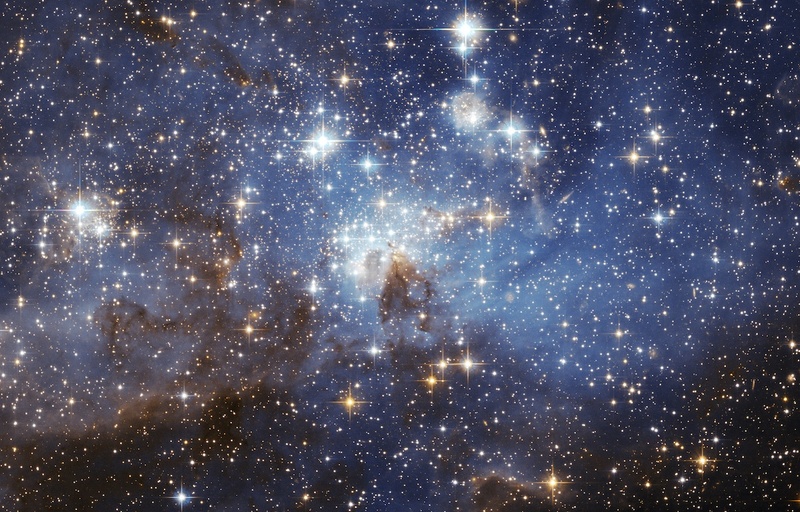 A star-forming region in the Large Magellanic Cloud. This entry was posted on Thursday, July 23rd, 2015 at 9:40 am	and is filed under Productivity.